Sewer and Drain Cleaning | Leaky Basement In Vaughan Region? Canada Waterproofers Can Help! Drain and sewer line cleaning and maintenance is one of our core services. We always tell people it’s best to do a regular check-up of your drains, to avoid clogs that can lead to bigger problems, such as root damage, collapsed drains, blocked drains, grease or soap build-up, and “belly in pipes” – where the pipes sag, and water has gathered at the pipe’s low point. Blocked or clogged drains, where water and waste is not flowing properly, can result in both major financial and emotional stress. Sewer camera inspections and the snaking of your sewer system can help you avoid drainage issues, and help your existing sewer system last for many years. Also, when it comes to basement, utility room or garage drains, they should be equipped with a trap, and that trap should be filled with water, to prevent nasty odours. But what happens if you are beyond maintenance, and have a blocked toilet, sink or bathtub, or even a frozen pipe? Call us! Bathroom drains, kitchen drains, basement or utility room drains, outdoor drains – our team of licensed and trained plumbers will unclog that drain in no time at all. Canada Waterproofers Vaughan Region has the latest technology to get your drain and sewer system in perfect working order quickly. Our crew will explain the process so you understand what we did, and we are there for advice on how to avoid problems in the future.  Canada Waterproofers Vaughan Region’s motto is integrity and honesty. When it comes to quality of service and pricing, we will hold up our reputation against anyone in the industry!